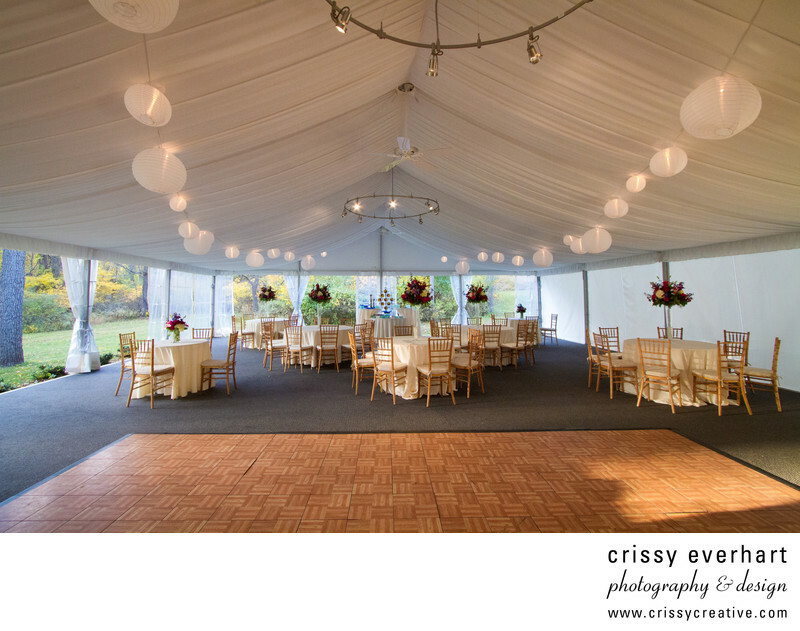 A fall tent wedding at Waynesborough Historic House in Paoli, Pennsylvania. Dance floor is shown in the front and tables and chairs are set up in the back for a buffet style dinner. Tall flower arrangements are on the tables and white paper globes hang from the ceiling for decor.